Attorneys Tracy A. Kennedy – Zimney Foster P.C. Tracy A. Kennedy (tracykennedy@northdakotalaw.net) joined the firm in 1999. 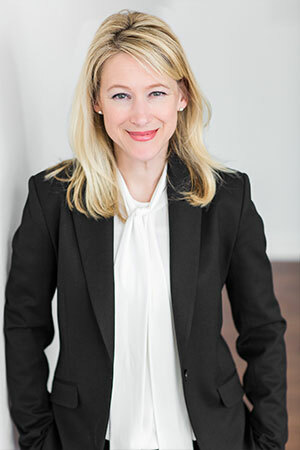 She is a Partner at Zimney Foster and her practice is devoted to banking law, commercial loan documentation, credit workout and restructuring as well as creditor’s rights, credit enforcement, agricultural lending and credit transactions. She is adjunct faculty at the University of North Dakota School of Law, where she teaches UCC Article 9 Secured Transactions. She is listed in Chambers USA’s America’s Leading Business Lawyers, and a Fellow in American College of Commercial Lawyers. She is co-author of Revised UCC Article 9 Transactions (UND Publishing). Tracy enjoys presenting seminars to various legal and lending organizations in commercial topics such as loan documentation, Uniform Commercial Code, loan workouts, agricultural liens, collection law, foreclosures and bankruptcy. In her free time she enjoys volunteering for North Dakota Special Olympics and serving on their State Finance Committee. Tracy earned her BA Degree from Minot State University in 1994, and obtained her J.D. Degree from the University of North Dakota School of Law in 1999. She served as an associate editor of the North Dakota Law Review. Tracy practices in North Dakota and Minnesota State Courts, and in the US District Court for the States of North Dakota and Minnesota and the US Court of Appeals for the Eighth Circuit. Zimney Foster P.C. © 2019. All Rights Reserved.